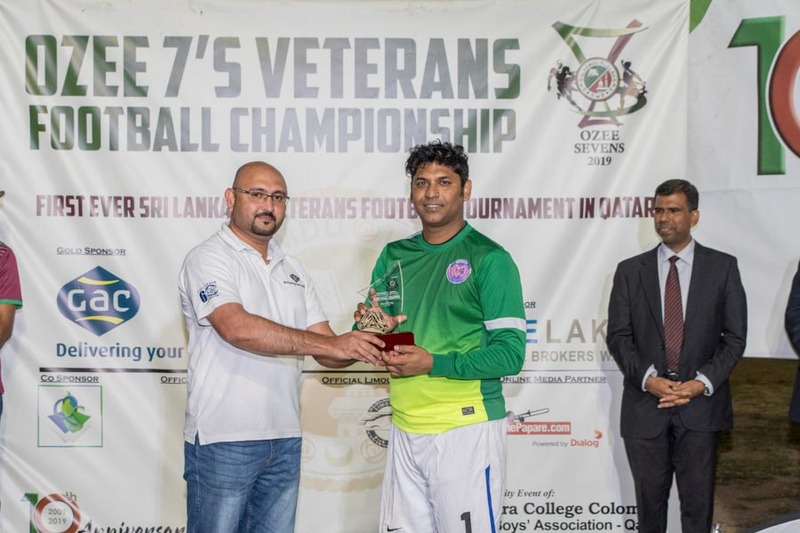 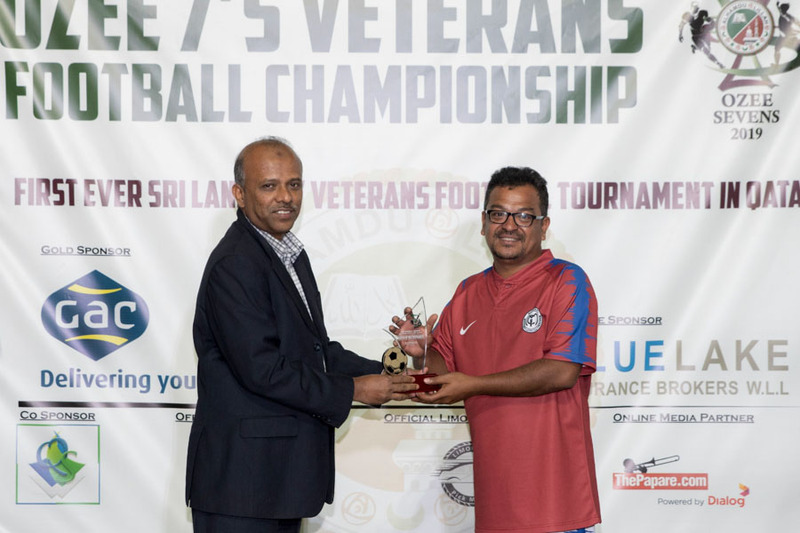 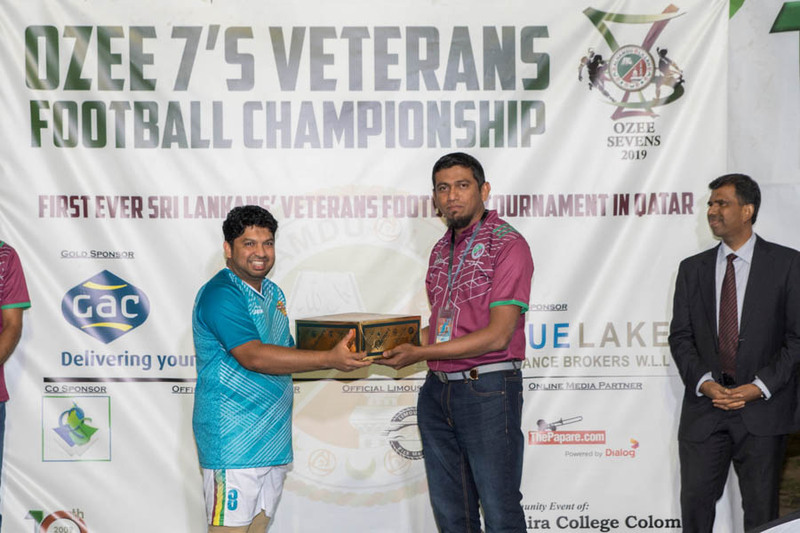 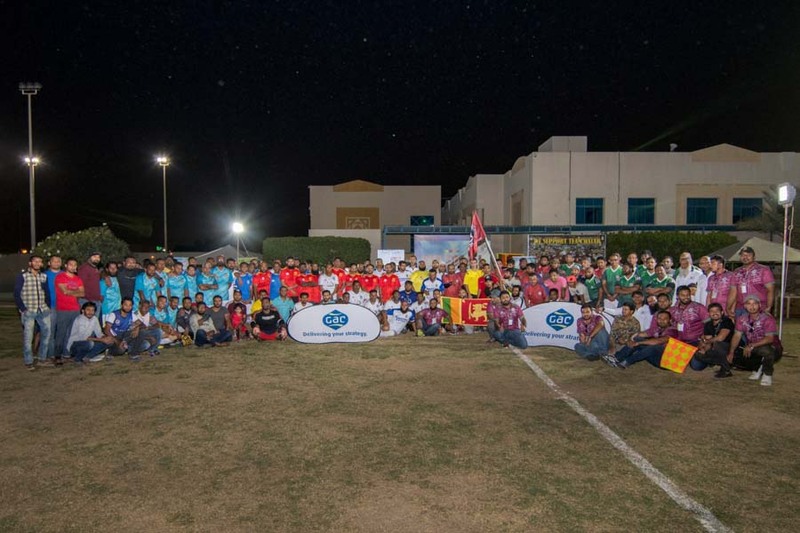 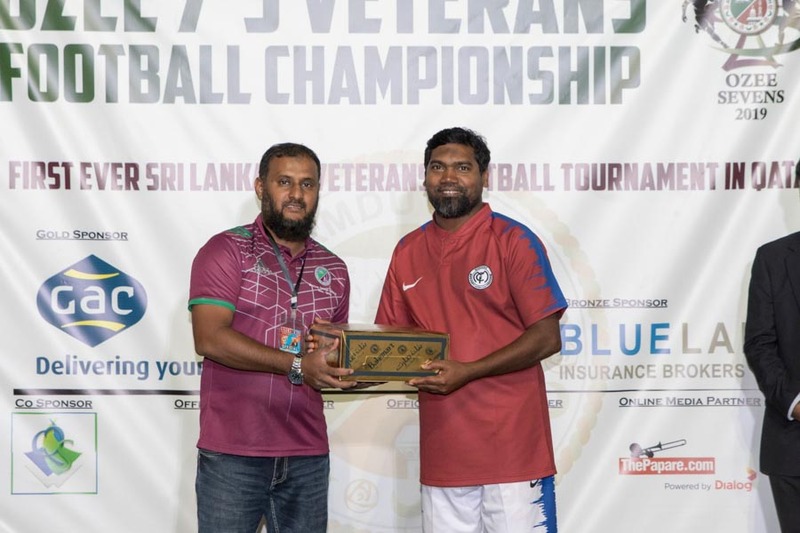 The first ever Sri Lankan veterans football tournament concluded in grand style with the participation of a huge Sri Lankan crowd in Qatar. 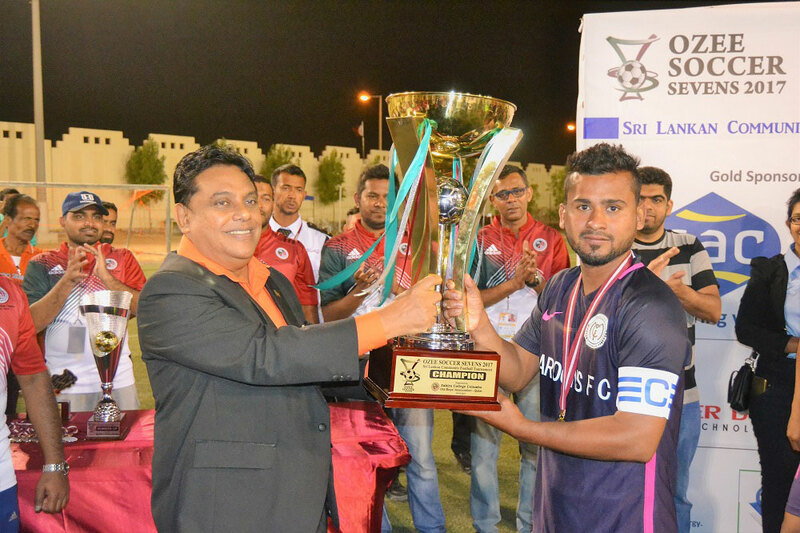 Maroons FC clinched the championship after beating Fantastic SC in a penalty shootout in the grand final. 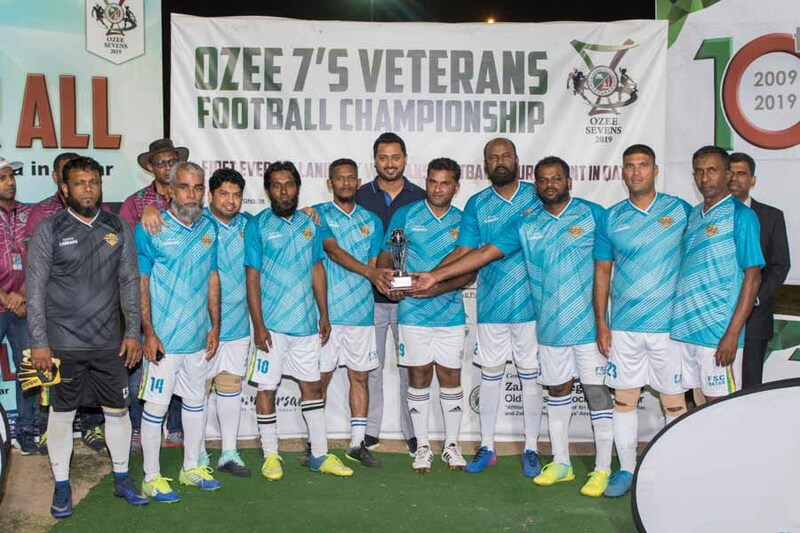 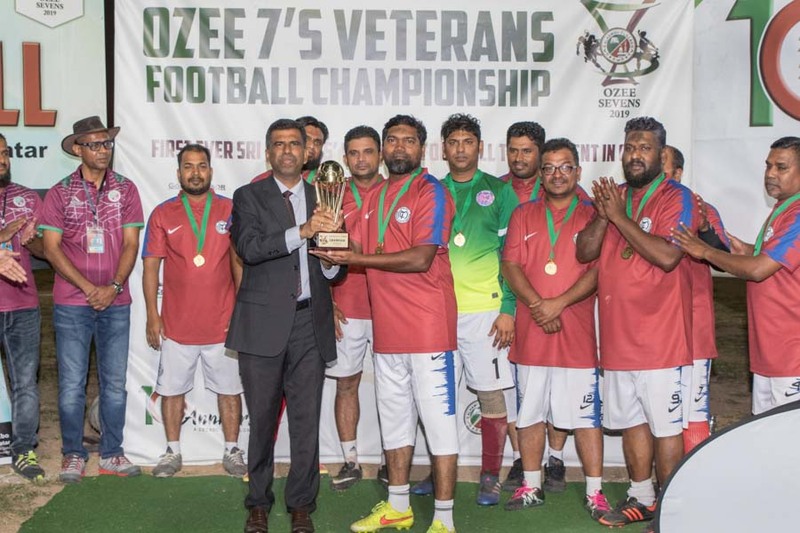 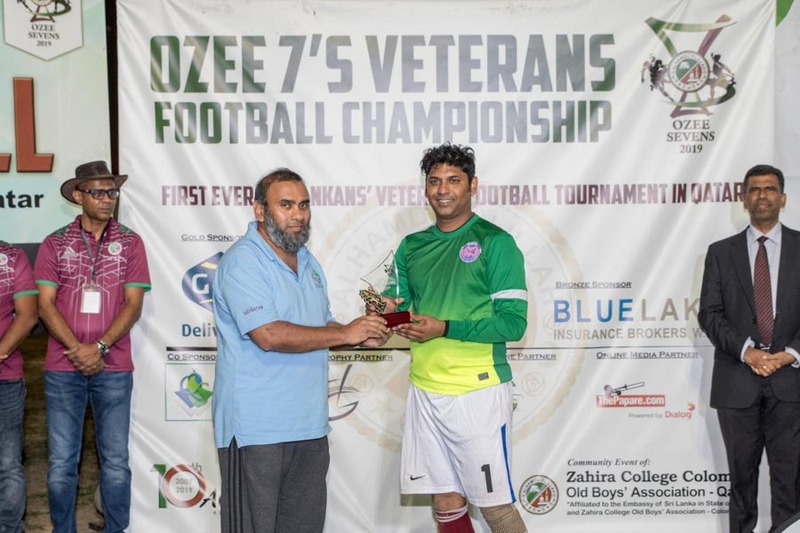 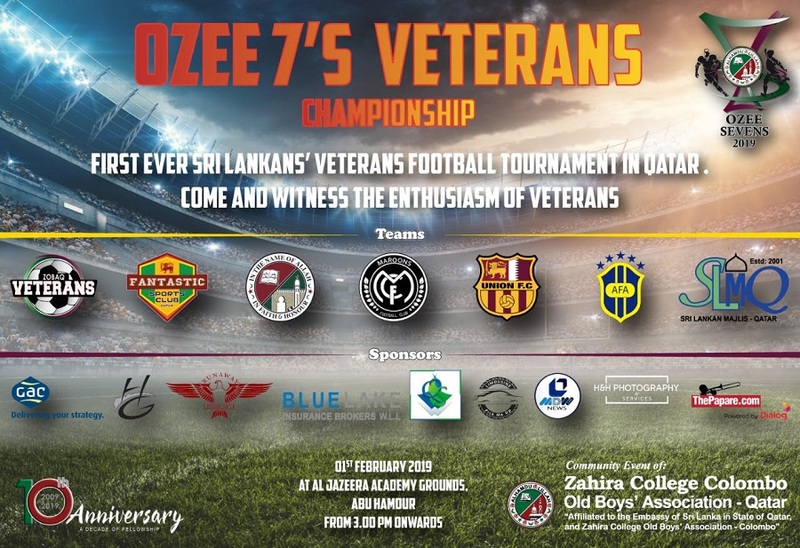 A total of 8 prominent teams contested for the first edition of OZEE 7’S Veterans Tournament. 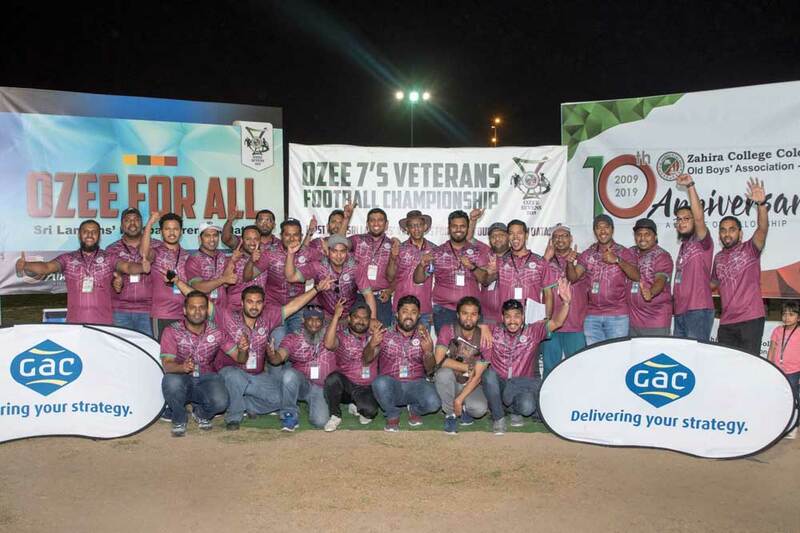 The beautiful afternoon attracted a large presence to support Team Qatar’s AFC Final match against Japan as the final match was telecast at the venue. 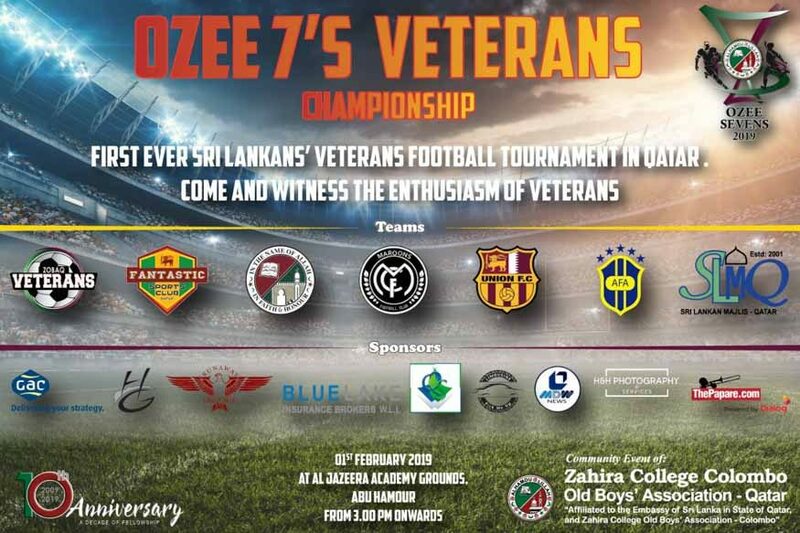 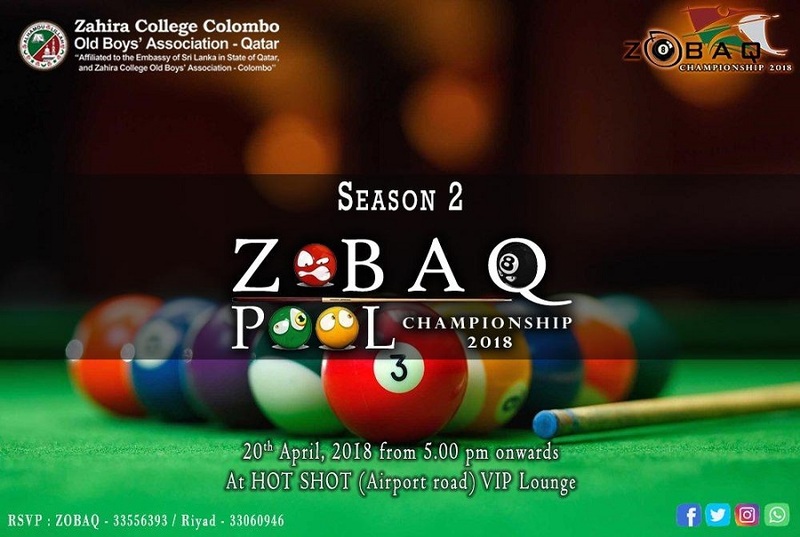 The event was organized by Zahira College Colombo OBA Qatar and their initiative was appreciated by the large crowd that gathered.